Another addition to infused water recipes. This is refreshing, energizing, detox water which helps you stay hydrated. 1. In the infused water chamber, add cut pcs of apple and grapes. Leave space on top of chamber; do not fill it till the top. 2. Pour filtered water in the water bottle. 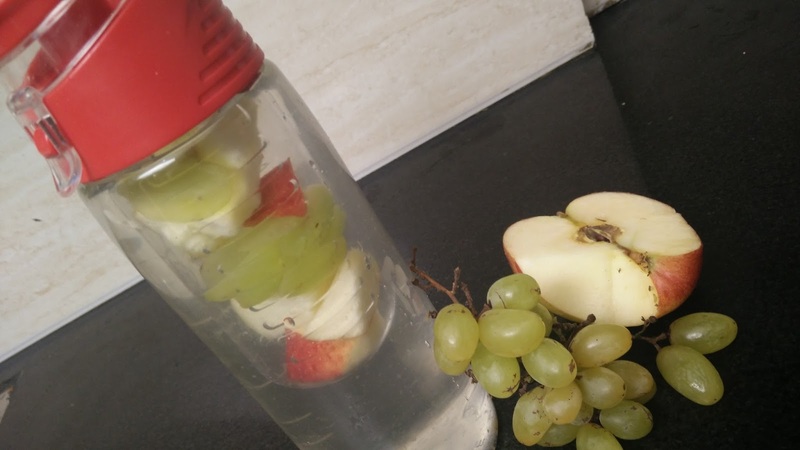 Set the fruits filled chamber in the water bottle. Keep it for half to one hour. Infused water is ready to drink. Enjoy the fresh flavours!! !